Everyone loves to save money where they can. One way to do this is taking on do it yourself projects. Do it yourself repairs is excellent for mechanically inclined people that can usually figure things out. There are, however, times when a DIY project can get you in over your head. When it comes to BMW’s, there are a few repairs that a person can do if they are up for the challenge. Then again some repairs are really best left to a professional. 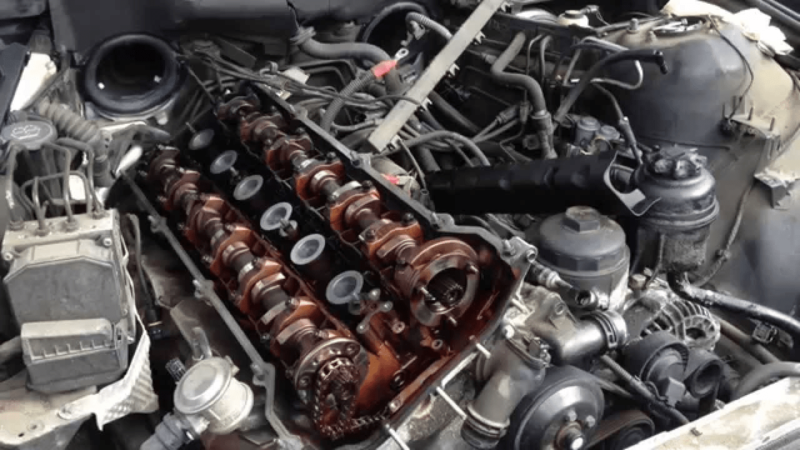 If you have any of these issues with your BMW, then BMW repair shop Roseville, Ryan GMW can help. The dreaded blown head gasket. This particular repair, if you Youtube it, can seem like a breeze. It isn’t. To get to the head gasket, much of what’s under your hood will need to come out. That is plenty of bolts and accessories. If you lose anything, it can put the whole project at risk. The problem with replacing your head gasket, besides the difficulty level, is the problem might be more severe than the head gasket itself. Even if the head gasket has blown, the cylinder head might require resurfacing because of warpage. Drop by at Ryan GMW and we’ll assess your BMW if you will need to have more than just the gasket replaced to run correctly. Transmissions are the trickiest parts of any vehicle. In a BMW this is especially true. Transmissions are known to be complicated if you are thinking about tackling this job, don’t. A professional automotive technician is more qualified to perform repairs or rebuilds. The transmission is mounted to the engine no matter if it’s a front wheel, all wheel or rear wheel drive. To remove it, you have to separate the two. Disconnecting the two might not seem like an impossible feat, but mating them back together is a real pain. Just ask any mechanic. When it comes to anything with a transmission, this is one part of the BMW you don’t want to try and repair. Removing and replacing parts might seem like a simple do it yourself job, but in the case of suspension parts, it can become challenging and time-consuming. Often these pieces are stuck on there, really stuck on there. They can also require specialty tools to perform the task at hand. These can be done by a do it yourself, but it is most certainly easier to have a trained professional handle them. Replacing some suspension parts might also require a wheel alignment. These are typically done with machines at a shop to ensure everything is aligned the way it should be. There are videos out there that show how to do a wheel alignment at home. While this might seem like a great way to save a few dollars, adjustments made by measuring and eyeballing if things look straight, isn’t as exact as a machine. Therefore the results aren’t going to be the same. There is also the possibility of throwing the alignment off more if done incorrectly. If your steering wheel is crooked and your car is drifting left or right, bring it into a shop for a professional wheel alignment.